The B.L.A.C.K. 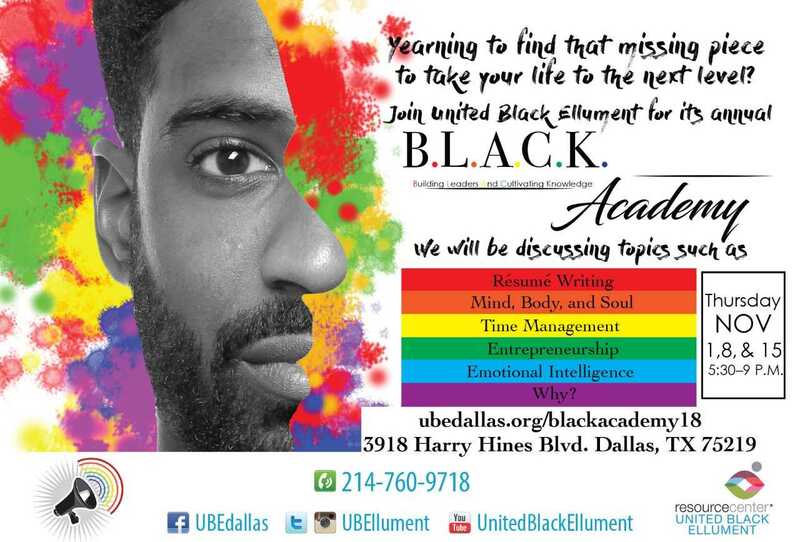 Academy | UNITED BLACK ELLUMENTUBE exists to enable Black same-gender-loving men to fulfill their greatest potential for good! 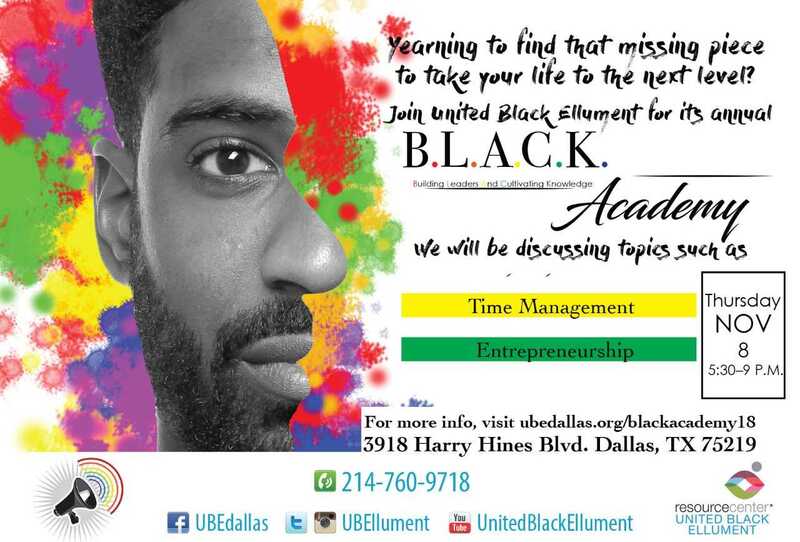 United Black Ellument is young Black gay/bisexual men creatively building community. 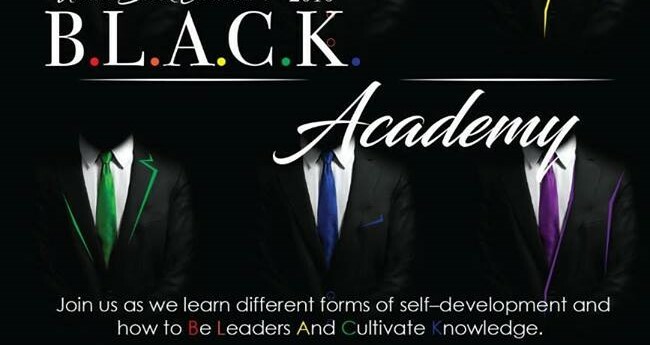 United Black Ellument presents The B.L.A.C.K. Academy 2018 – Building Leaders And Cultivating Knowledge. This free six-workshop series is designed to provide personal and professional development to members of Dallas’ Black same-gender-loving community. Individuals who participate in this program will partake in facilitated training and workshops with some of Dallas’ most notable upcoming professional talents as well as walk away with a wealth of knowledge that is sure to make them marketable in an ever competitive society. If you are interested in volunteer or outreach opportunities, please let us know! By getting on and adhering to medical treatment, HIV-positive individuals can achieve viral suppression (a very low level of HIV in the blood, also referred to as undetectable). HIV is not curable, but lowering the amount of HIV in the body can keep a person healthy, help them live longer, and greatly reduce their chances of passing HIV on to others!